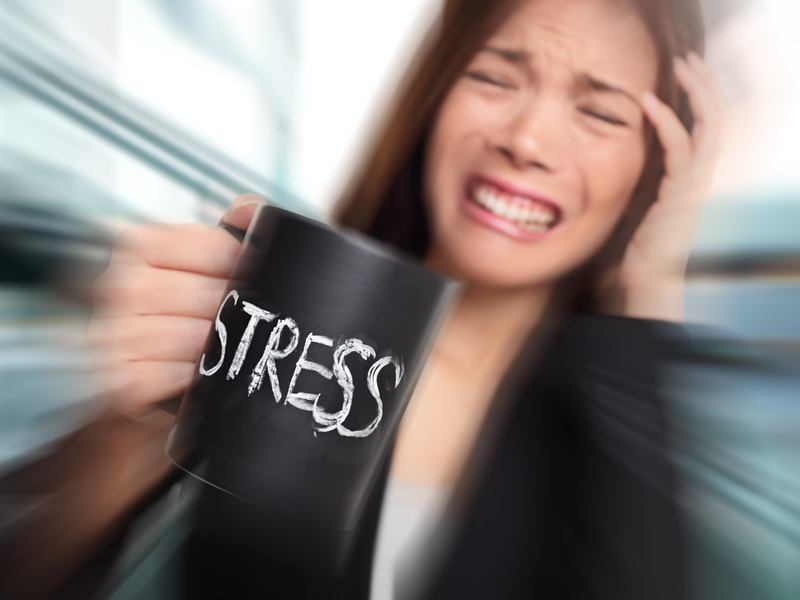 Can Stress Affect Oral Health ? Many people suffer from stress in our lives, and little do we know that, the stress we carry can affect our dental health. We all know the effect that stress causes on our bodies, to some it causes the lack of sleep, and to others it can cause anxiety and even panic attacks at times. Not only can that but these also lead up to irritability and grogginess when the lack of sleep is present. Knowing that stress can affect your body is one thing but knowing it affects your oral health is another serious matter. Not only does stress contribute to bring several conditions such as: bruxism, canker sores, dry mouth, TMJ/TMD disorder, gum disease and others such as lichen planus, and burning mouth syndrome. Gum disease is a serious condition which shows up when a long term stress has been happening. This condition shows up such as periodontal disease an infection in which it affects out immune system. Another factor of this would be lichen planus this occurs when viral infections caused by stress and this are characterized by white lines in the mouth, also sores, and ulcers in the oral cavity. Bruxism is also caused by stress when we are stressed we tend to grind our teeth more often during night and also day which leads to teeth damage. For some of these conditions there is a solution for example for bruxism a night guard is recommended to protect your jaw. A night guard can also be recommended for another condition such as TMJ/ TMD. Not only are all of the conditions will seem to be as noticeable as others. Having a dry mouth is another condition of stress related problem, you can experience chronic dryness as your mouth won’t be producing enough saliva. This is a common condition for stress. Not only is a dry mouth q common side effect if stress but is also a common side effect of used of drugs or medication to treat depression. Furthermore, not only will stress be a big part to trigger these conditions but also out ability to tolerate pain will be compromised as our bodies start to adapt to stressful situation; and as a result of this when tooth pain can become more extreme at time when stress is present. This entry was posted in dentist, santa ana, smiles on bristol and tagged Can Stress Affect Oral Health, dentist in santa ana, dentistry santa ana, santa ana dentist, santa ana smiles on bristol dentsitry on April 28, 2016 by Francisco Torres. Autoclave is a very important equipment in the dental field. An autoclave is used to sterilize re-usable instruments. An autoclave can sterilize solids, liquids, hollows and different types of instruments. Before instruments are placed in the autoclave they have to go through a rinse cycle through an ultrasonic cleaner. The ultrasonic cleaner will remove any debris and then instruments are pouched in sterilization bags, ready to go in the autoclave. The autoclave works similar to a pressure cooker, they both use steam to kill bacteria, spores, and germs resistant to boiling water. Tabletop autoclaves are the most common types of autoclaves in the dental field. They are about the size of a microwave oven. The autoclaves sterilizes instruments by heating them above boiling point. The most common types of instruments that are used in the autoclave are metal instruments, such as hand pieces, syringes, and metal basic instruments. There are some plastics that can be autoclave, but check your manufacture instructions to see the types of plastics that can be autoclave. The autoclave main objective is to eliminate all microorganisms. The way to eliminate these microorganism is by setting the autoclave at 270 degrees for 30 minutes. For rubber items set autoclave to 250 degrees for 20 minutes. For chemical 28-30 pounds of pressure for 20 minutes. These are all general instructions, check with your owners manual for specific instructions. This entry was posted in dentist, santa ana, smiles on bristol and tagged Autoclave, dentist in santa ana, santa ana dentist on April 25, 2016 by Francisco Torres. We all get a little nervous when have to go to a dental visit, however there are people who in fact have dental anxiety or dental phobia, this phobia makes their dental visit a terrifying. Even if most dental procedures aren’t painful the thought of just having an exam done gets patients with dental anxiety stressed out that people with this phobia will do anything to skip a dental appointment. An estimated has been shown that 9% to 15% of Americans avoid seeing the dentist this is about 30 million to 40 million people due to the anxiety and fear that attacks them. Survey shows that many of these people don’t visit the dentist regularly main reason being fear. What is dental anxiety you may ask? Anxiety is the feeling of worry nervousness and at times also unease, this typically happens when you think about an event with an uncertain outcome. That is why dental anxiety takes over many people who often put a dental visit up for years. These people who have this condition will put up with gum infections, tooth pain, gum disease and even broken/ chipped teeth. People with dental anxiety or phobia are not only candidates for gum disease but are also at a higher risk of early tooth loss. Not only are they candidates for gum disease and tooth loss but also for damaged and decolorized teeth which can lead to consciousness and insecurity. Not only that but also loss of self- esteem is another outcome of this condition. Some of causes of dental anxiety are pain, embarrassment, the feeling of being helpless, and negative past experiences. The fear of pain has shown to be very common this may be because of early dental visits before there was any of the pain free dentistry, this is accompanied by the negative experiences that they have had in the past. Anyone who has had experienced a painful or uncomfortable experience is more likely to be anxious. Also, another very common problem for people with dental anxiety is the embarrassment; this embarrassment is caused because they might feel ashamed of having a stranger look into their mouth which makes them feel self-conscious about themselves. Lastly, the feeling of being helpless, many people adhere this from the thought of being sat on chair still and not knowing what is going to happen, not being able to be in control is a main trigger to anxiety. This entry was posted in dentist, santa ana and tagged Dental Anxiety, dentist in santa ana, santa ana dentist, Smiles on Bristol on April 22, 2016 by Francisco Torres. Taking a trip to the dental office should be fun and easy and not stressful. 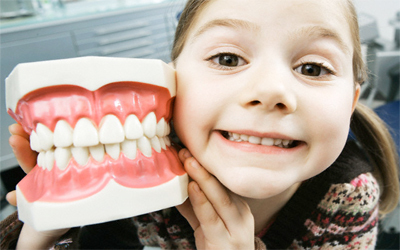 Here at Smiles on Bristol Dentistry we take into a great responsibility to make the young ones feel like they are in a safe environment and allow them to feel comfortable. A dental assistant has the duty from beginning to end. From the primary responsibility to help assist during a dental procedure to sterilizing the instruments. Not only that but also applying dental sealants, varnish, and fluoride to our kids. As an assistant the responsibility doesn’t stop there, we are also responsible in educating the little ones and their parents about their proper oral hygiene; how to brush and floss their teeth on their own. When children arrive at a dental office it is visible when they are anxious. However, starting a bond with the children from the beginning allows them to feel comfortable and minimizes the stress level they are carrying. By having them do relaxation techniques such as; deep- breathing exercises, counting their fingers this and other methods can be helpful. When young patients see the exam chair their stress level rises despite that there is a way to bring that stressful moment down, by having them seat on the chair and letting them know what the instruments in the room are. For example, when you show them a mouth a mirror and allow them to see how harmless it is they will feel the informed and allow building a trust. When sitting on exam chair another way to help manage stress is by chatting with the young patient and or simply playing a movie for them this will help to distract them and lower their stress level. This entry was posted in dentist, santa ana and tagged dentist in santa ana, santa ana dentist, Working with Children on April 21, 2016 by Francisco Torres. Tooth sensitivity is a condition that affects many people. Tooth sensitivity can occur when the inner part of the tooth becomes expose causing sharp discomfort. The sharp pain or discomfort can come when your drink something hot or cold,eating sweets, or air that passes through teeth. The exposure can be caused by teeth recession, teeth erosion, the loss of tooth structure or consuming acidic foods. Brushing your teeth and gum using a hard bristle toothbrush can cause the enamel to wear off creating tooth abrasion. Bruxism or grinding of the teeth can create tooth sensitivity, the constant pressure begin to wear the enamel causing the dentin to be exposed. Acidic foods also create the enamel to wear. Cavities or large fillings can also create sensitivity, when a caries is affecting the enamel and dentin part of the teeth. Teeth whitening or bleaching can cause temporary sensitivity but tends to go away with time. How can you prevent tooth sensitivity? A excellent way to prevent tooth sensitivity is to change your toothbrush to a medium or soft bristle. This will create less pressure on the enamel and have less chance of abrasion. You can also switch toothpaste to one that helps with sensitivity, our Santa Ana Dentist Dr. Kalantari recommends his patients sensodyne. There are many alternatives in the market, just choose what works best for you. A night guard is another preventative measure this will stop the teeth from wearing out. Completing any dental treatment that was recommended by your dentist is another great way to prevent tooth sensitivity. This entry was posted in dentist, santa ana and tagged dentist in santa ana, santa ana dentist, smiles on bristol dentistry, Tooth Sensitivity on April 19, 2016 by Francisco Torres. This entry was posted in dentist, santa ana, smiles on bristol and tagged dentist in santa ana, santa ana dentist, smiles on bristol dentistry on April 16, 2016 by Francisco Torres. Acid erosion is caused when acidic drinks that are consumed on a daily basis. These acidic drinks cause the wear out of the surface of the tooth enamel. Acidic foods/drinks such as, soda, orange juice, wine, sport drinks and other fruity drinks will soften the tooth surface and wear it out making physical damage to the tooth. The practice of good oral hygiene and your daily eating habits will make a difference when tooth enamel starts to wears out. Having poor diet will cause the tooth’s outer surface to wear out as substances are breaking down the outer layer of the tooth which in time leads to exposing dentin. If dentin is exposed and ongoing poor nutrition or bad eating habits continue this will also lead up to decay on those weak teeth that have been “eroding” with time. When vomiting your stomach releases acid into your mouth if this happens frequently the exposure to tooth erosion is higher. Furthermore, not only will the consumption of acidic foods and drinks lead up to erosion, but also eating disorders such as acid reflux disease and bulimia. Our mouths have a very important job to provide nutrients to the rest of our body. Our health begins from our mouth and teeth that is why we should take care of our oral hygiene. In consideration that many food such as fruit contain a portion of acid in them, our mouths are able to take in acids due to our saliva neutralizing small amounts of acid which also help to demineralize and strengthen the tooth. However, too many acidic drinks such as soda, wine, or other sweet beverages if they are drank in an ongoing daily basis it will cause tooth erosion. If any of these acidic beverages are taken it should be with moderation and not on a daily basis. After consuming any of these acidic food or drink do not forget to brush and floss teeth immediately. 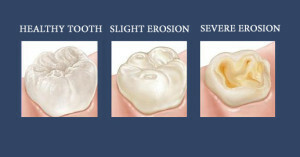 Some signs for tooth erosion are: sensitive teeth, tooth discoloration, teeth appearance rounded or transparent. 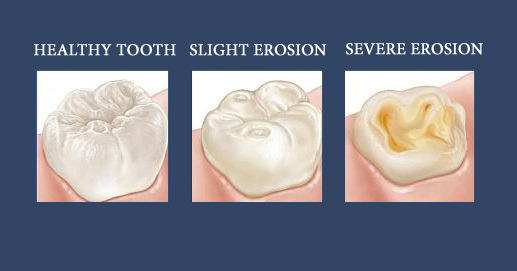 In more advanced stages of tooth erosion you might see dents within the tooth and tooth gum line and also cracks on tooth surface. If not taken care of tooth will disintegrate and also surrounding teeth. This entry was posted in dentist, santa ana, smiles on bristol and tagged dentist in santa ana, santa ana dentist, Smiles on Bristol, tooth erosion on April 15, 2016 by Francisco Torres. What is an intraoral camera? An intraoral camera is a small pen looking video camera that serves the purpose to obtain an image of the outside of the tooth or gum. Everyone has had dental x-rays taken at a point in their life’s therefore we all know what that looks like. Those dental x-rays help Dentist see what the inside of our tooth looks like and to diagnose from any pain we are having. 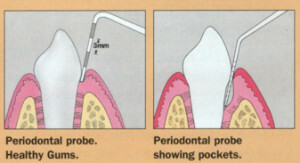 However, what do these intraoral images help for? 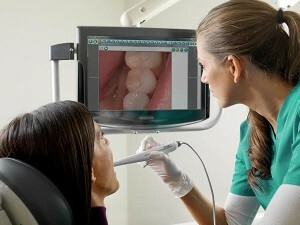 Well these intraoral images help to show patients a real life time picture of what is going on with their teeth. Many patients have misgivings when it comes to dental diagnoses that have not been accompanied by any pain. With the use of the intraoral camera you can easily be shown an image of tooth decay or cracked teeth. Most people believe in the saying, “a picture is worth a thousand words.” Which is true once we see something that we had not been able to see before, we tend to take action on what is going on in our body and our teeth. For patients it is great to be able to see what is going on it makes them feel informed taken into consideration once they see it with their own eyes. This allows patients to commit to treatments which they had thought of unimportant before. This entry was posted in Uncategorized and tagged dentist in santa ana, intraoral, santaanadentist, Smiles on Bristol on April 13, 2016 by Francisco Torres. Scaling & Root Planning is a dental procedure that treats periodontal disease, it cleans between the gums and roots of your teeth. This type of cleaning removes any plaque or build up that has accumulated over time below the gum level. 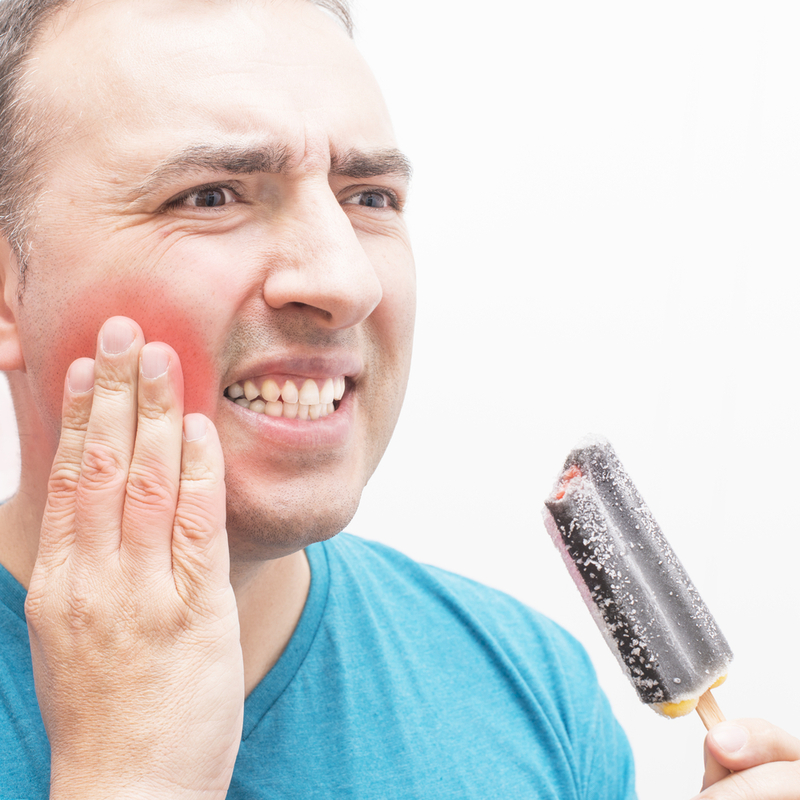 If the build up is left there for a long period of time it attacks soft tissue and bone causing it to recede and exposing the root of the tooth, causing sensitivity or discomfort for the patient. So if you just recently got your scaling & root planning (deep cleaning ) we will give you some tips on how to care and what to expect after the treatment. In most cases local anesthesia is administer so that the patients doesn’t feel discomfort when the scaling & root planning is being performed. We recommend our patients not to eat anything until the anesthesia wears off. This way you minimize and prevent any chance of biting your lip, cheek, or tongue. The anesthesia will begin to wear off in approximately 1 to 3 hours after the procedure. 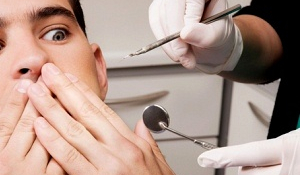 After the anesthesia wears off it is normal to experience sensitivity from your teeth and gum. 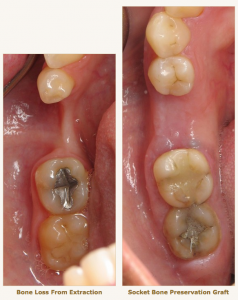 This is usually related from the cleaning and removal of the plaque and build up. It is also normal for your gums to feel slightly sore, the soreness and sensitivity tend to go away in the next couple days after the treatment is completed. keep it in place for at least 20-30 minutes, this should control the bleeding. If the bleeding increases or doesn’t control after 12 hours please call our office as soon as possible to notify the doctor. You may also feel your gums tender and red, this will usually go away once the gums begin to heal and you maintain a good oral hygiene. Rinse daily 2 -3 times a day with warm salt water or your mouthwash for the next week, to help the healing and reduce inflammation of your gums. Avoid hard or sticky food such as popcorn, nuts, and chips, avoid spicy food and cold drinks. Hard sticky food may get stuck in the gum. Spicy food may cause your gums to burn or itch, and cold drinks will cause sensitivity. Soups, pastas, and scrambled eggs are highly recommended. Avoid smoking for the next 7 days, smoking or using tobacco products will cause a delay in the healing process. between the teeth. Don’t chew gum or eat sticky foods. Arrestin works as an antibiotic to help fight gum disease. If your dentist prescribe medication, please take it as indicated by your dentist. This entry was posted in dentist, santa ana, smiles on bristol, Uncategorized and tagged santa ana dentist, smiles on bristol dentistry on April 13, 2016 by Francisco Torres. Dental retainers are custom made appliances that hold your teeth in position and prevents your teeth from shifting. Retainers are often required after an orthodontic treatment has been completed, there are some cases where the dentist will recommend a dental retainer to stop any future shifting. 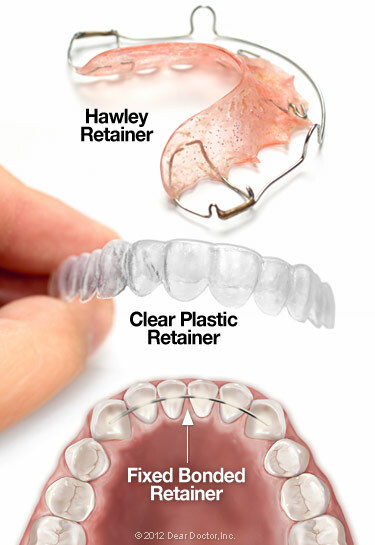 The most common type of retainers are clear retainers, hawley retainer ( wire retainer), and a fixed retainer. Here we will talk about the pros and cons of the different type of retainers. Clear retainers are becoming the most popular type of retainer. Clear retainers are not very noticeable and patients feel more comfortable wearing this type of retainer all day. It is custom made specifically to your teeth which prevents any shifting to happen in your mouth. Cleaning your teeth is much easier, you just removed your retainer and brush and floss normally, improving your oral hygiene. The clear retainer also works as a night guard which prevents grinding your teeth.The cons of the clear retainer are the first retainer have to be switched during 6 to 7 months,and then depending on the condition of retainer.If the retainer is not cleaned correctly it will begin turn into a dark yellow color. The material is a plastic material that covers your teeth and some people have trouble biting down the the clear material. the retainer during your check ups. The cons of having hawley retainer it is very noticeable, it’s a wire running through the front of your teeth. Some people don’t feel comfortable with having metal in their mouth. The hawley retainer also covers the roof of your mouth causing people to talk with a lisp until they get use to the retainer. A fixed retainer is a permanent retainer that is attached to the lingual side of your teeth. 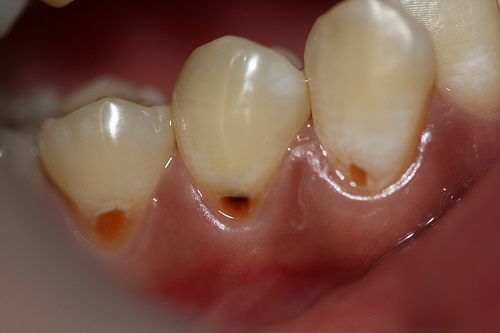 They are bonded on the anterior part of the lower and upper teeth, and they can’t be removed by the patient. There in no chance in you losing this type of retainer since it’s bonded to your teeth. Fixed retainers are recommended when there’s a high chance of reversal of the orthodontic treatment. They are usually left a year after your wisdom teeth are out, but some cases are left for a lifetime. The cons are it leads to build up because it is very difficult to clean between the teeth. This also causes your gums to swell and caries in between the teeth. At Smiles on Bristol Dentistry the type of retainer we recommend to our patients are the clear retainers. They’re called Vivera retainers and are not like the regular clear retainers. Vivera retainers are 30% stronger than regular clear retainers, this helps your teeth stay in the desired position. Vivera retainer because of the thickness helps reduce cracking or breaking of the retainer making it minimal the amount of times you have to switch the retainer. They come in sets of 4 retainers per order and it’s enough sets of retainers to prevent any movement of your teeth. This entry was posted in dentist, santa ana, Uncategorized and tagged dentist in santa ana, reatainers, santa ana dentist, smiles on bristol dentistry on April 11, 2016 by Francisco Torres.